Did you know that the V&A (Victoria and Albert Museum) have a blog? 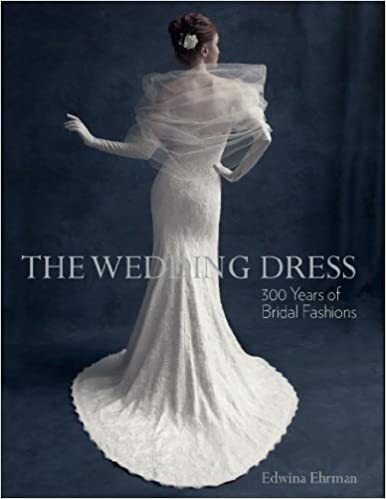 I only discovered it last year when I was reading their email newsletter, and followed the link to find out more about their exhibition; The Wedding Dress: 1775-2014. The good thing is that books are produced to accompany their exhibitions, so if you can’t get to it in person you can still see the images, and read the text at your own pace. The blog posts that accompany setting up their major exhibitions are fascinating, as you get to see images from behind the scenes, showing the care and precision put into showing the items on display at their best, and ensuring the exhibits suffer no harm in the process. You also get helpful social context in the posts – where applicable. If you’ve missed anything in particular you can usually find it by looking in the list of updated sections on the main blog page. You will find a link to their blog on the V&A home page, or pop along to find out more via this link. I’ve just had one of those moments when a couple of wheels turn in my mind and lock into place. Saturday’s are Pinterest day, and while discovering and pinning a selection of historic costume and fans from a past sale at christies.com- they have a Pinterest page too and it’s well worth browsing- I came across a continental letter case from the 18th century. At the moment I don’t have my own pinterest page, but that’s another to do, so in the meantime I’m sharing Carol’s boards. There’s Clothing and Footwear for Men in the 18th & 19th Century – I can imagine a few of my hero’s in some of these outfits. Costume that has women’s fashions, hats, shoes, and a number of images of the constructions used under dresses and petticoats that created the various shapes across the centuries. If you’re interested in Fans and Parasols, then have a look at Fans and Accessories – where you’ll find the letter case mentioned above. There are a few other boards you might enjoy, Tiaras, and Jewellery-old and new.